With Virtual Reality being an extraordinary experience all on its own, it is actually quite hard to find any game or interactive movie that you will not enjoy enough to come back to using VR. Shooting arrows though and watching 3D objects move in space around you is one thing, performing police duty is another. Enter Giant Cop by Other Ocean Interactive. We actually had the chance to check out Giant Cop with Hyper Light Up a couple years back when it showed up for the first time before being released to the public a bit later. We were a bit late with getting our hands on it but alas, we are here to talk about it now. The game is all about exactly what the title says it is going to be. You are literally a giant cop. Yes. A giant police officer. You start the game by being told what you have to do as the cop that you are and you quickly realize that being a giant puts you way in an easy place to deal with all sorts of illegal activities that go on around. Pick up people, throw them in jail (literally), scout around the city by just hovering over it with your huge head and all sorts of other things. The game unfortunately only has a campaign that lasts more or less three hours and I have actually read about a lot of other people also wanting a lot more content for it. Despite the short game time it offers, spending time to collect all the secret stuff and whatnot around the town is actually also pretty cool and quite enjoyable. Peeking around corners and exploring a vivid city is a thing on its own. Apart from that, I have to say that I would have loved to have content where I actually get to “walk the beat” as an actual cop doing trivial tasks. Maybe a daily tasks system or something like that? I don’t know, I am just thinking out loud wanting to just work for the police of this lucky little town that happened to have a giant cop at its service. 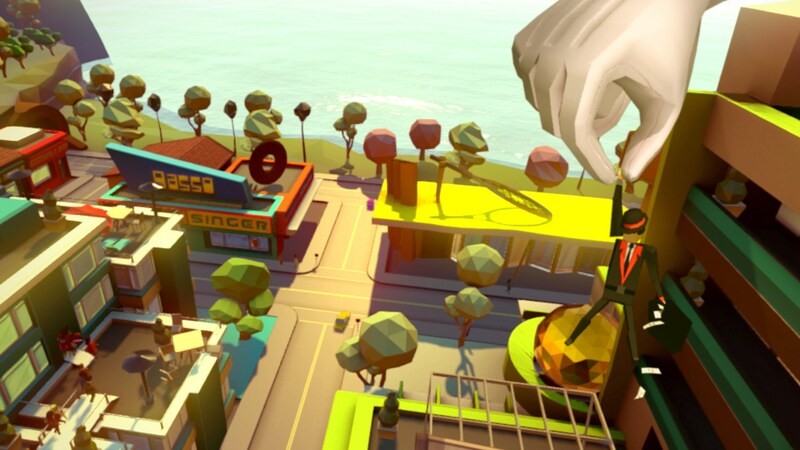 Giant Cop is a title that could very nicely compliment the rest of your collection of VR titles and offer some good off-time from shooting arrows and getting dizzy with any other VR game that you might have at your disposal. 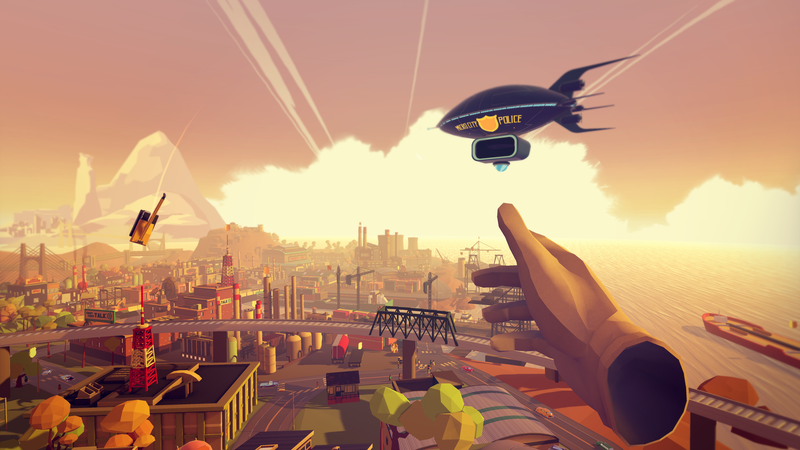 Easygoing, fun to goof around with and interesting to explore, Giant Cop will sit nicely in your library of VR games. You can find the game on Steam with a price tag of 24.99$.